While I am writing this, thank God for I am not hearing the sound of the rain i heard last night before I woke up. 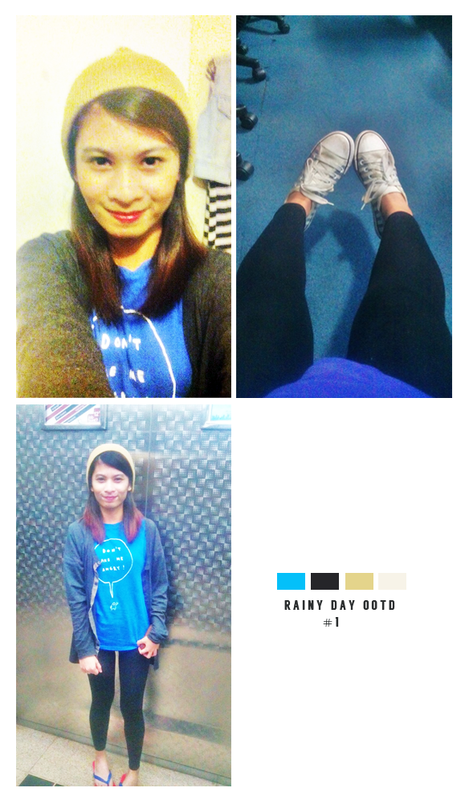 I just hate rainy days. 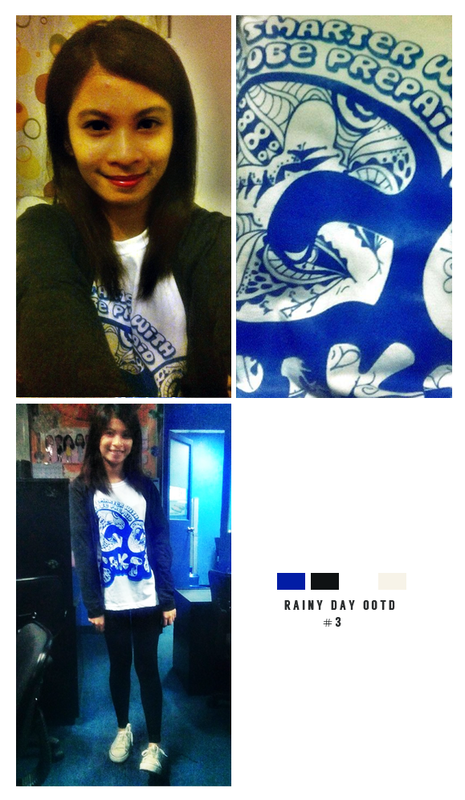 Rainy days back when I was in Elementary means mud on my legs and my white socks, no playtime outside the school. In Highschool, it means I can't walk on my way home, running my way to the canteen, long lines, and wet uniform. 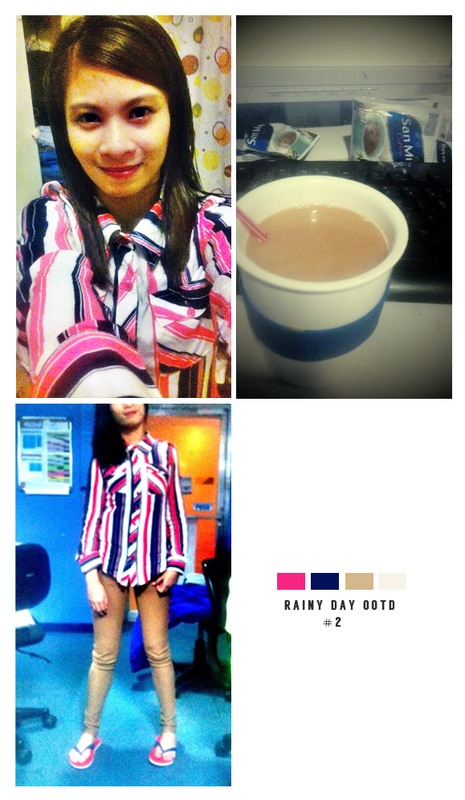 And now that I'm working, rainy days means heavy traffic, flood, mud, angry people, very angry people, hot headed people. Oh God I hate rainy days. 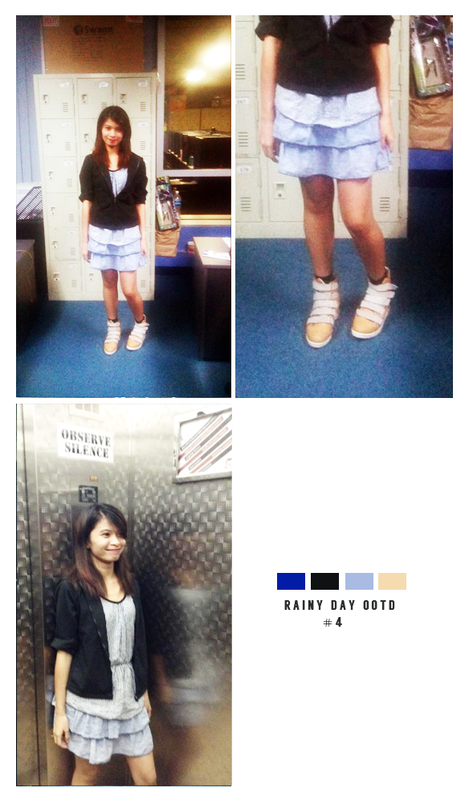 But anyways, here's a compilation of my rainy day ootd's at work.